Simply put, dermaplaning is an exfoliating procedure the concentrates on the epidermis and rids the skin of fine vellus hair otherwise. This is a procedure that is generally performed by an esthetician and is quick and has little to no adverse effects. 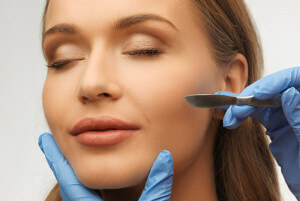 So how does dermaplaning work? The esthetician scrapes (abrades) the surface of the skin using a technique of very light almost feathering strokes. This deeply exfoliates the skin without the use of chemicals. Because of this, it’s a wonderful procedure for women who are pregnant! If you’re a patient with a great deal of vellus hair on the skin, you are also a very good candidate for the dermaplaning procedure as this hair can cause a buildup of dirt and oils in the follicles. Removing that hair gives the skin a more smooth and youthful appearance. Along with the vellus hair, removing the epidermal skin may help to prep the skin area for other treatments such as lasers or chemical peels. If you are a patient with rough, dry skin, excess vellus hair, mild acne scarring or fine lines and wrinkles you may be a good candidate. The results can leave your skin glowing! We are also pleased to offer the revolutionary micro-needling treatment, Dermapen. Dermapen is a fierce stand alone or complimentary treatment to chemical peels and laser skin treatments. It’s an essential tool in anti-aging and can treat all skin types. Please visit our Dermapen Page to learn more.